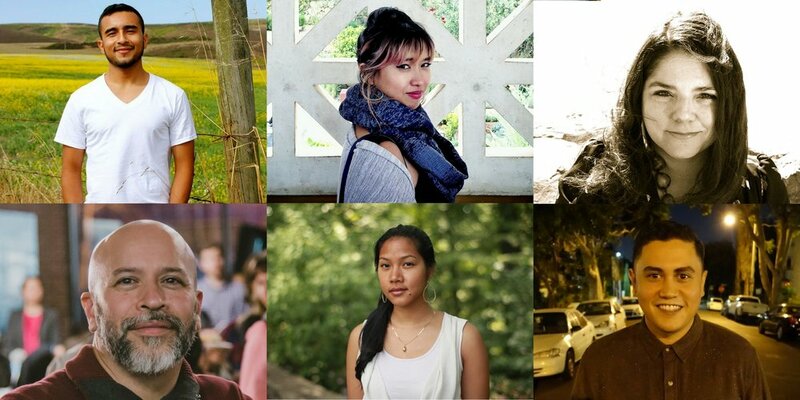 KSW Presents returns in November and we're featuring a joint reading bringing together fellows from the pre-eminent API and Latinx writing workshops in the country. CantoMundo is a national organization that cultivates a community of Latinx poets through workshops, symposia, and public readings. Founded in 2009 by Norma E. Cantú, Celeste Mendoza, Pablo Miguel Martínez, Deborah Paredez, and Carmen Tafolla, CantoMundo hosts an annual poetry workshop for Latinx poets that provides a space for the creation, documentation, and critical analysis of Latinx poetry. Kundiman is a nonprofit organization dedicated to nurturing generations of writers and readers of Asian American literature. MONICA SOK is Cambodian American poet from Lancaster, PA. She is the author of Year Zero, winner of a Poetry Society of America Chapbook Fellowship. She has received fellowships from the NEA, the Stadler Center for Poetry, the Conversation, Hedgebrook, Kundiman, and elsewhere. Born in Ecuador and raised in the Bronx, OSCAR BERMEO is the author of four poetry chapbooks, most recently, To the Break of Dawn. He has taught creative writing workshops to inmates in Rikers Island Penitentiary, at-risk youth in the Bronx, foster teens in San Jose, bilingual elementary students in Oakland, and to adults through the Oakland Public Library's Oakland Word program. He is a Bronx Recognizes Its Own, CantoMundo, San Francisco Intergenerational Writers Lab, and VONA: Voices of Our Nations Arts Foundation poetry fellow. Oscar makes his home in Oakland, with his wife, poeta Barbara Jane Reyes. JAYLEE ALDE is a Kundiman Fellow in Fiction. His work has been published in McSweeney's, Thrice, FORTH Magazine, and other fine publications.